Posted August 12th, 2018 by Ms. Jen & filed under art + photography, photos + text from the road. Sat. 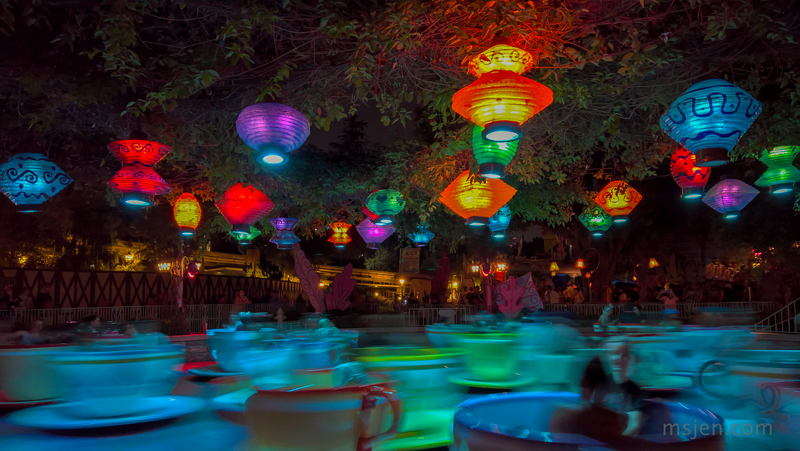 08.11.18 – Every time I have been to Disneyland in recent years, I stand by the Mad Hatter Tea Cup ride trying to get a good colorful, blurred photo of the madness that is the spinning. This time, I was fairly successful. Embrace the blur. Photo taken by Ms. Jen with her Lumia 950 camera phone.